It is unbelievable how time flies! It’s that time of the year again when marketers review what strategies were beneficial for them and start drafting new ones (for the year ahead). It is true that content marketing is the most powerful strategy for drawing attention of the users and constantly adding new batch of happy customers to your business. But with so much content already out there on the web, people rarely read anything line-by-line. You know that already, don’t you? Therefore, it is a must that you create something that is out-of–the-box and entice hurried scanners to become attentive readers. Confused on how to make your content stand out from the crowd? 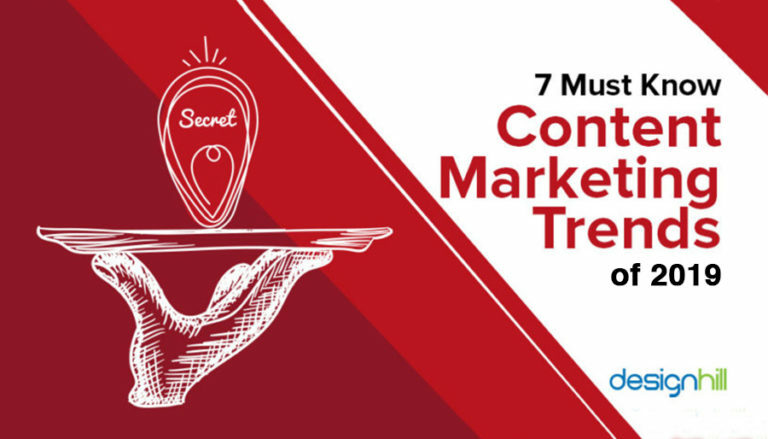 Check out the following content marketing trends that will dominate the gamut of the marketing industry . 1. Content Distribution Will Take Centre Stage Publishing your content is not enough anymore! You will need to distribute your content to a number of platforms so that it reaches your target audience. The platforms can be owned media (blogs, websites, social media pages, etc. ), earned media (guest posts, product reviews, etc.) and paid media (display ads). After all, what is the point of putting in so much hard work in creating content if no one gets to see it? An article in Forbes cites that only 26% marketers invest in content distribution, though more than half believe they need to distribute their content aggressively. 2. Sharing Your Content on Social Media a Must With an average user logging 1.72 hours per day on social platforms (which represents about 28 percent of all online activity), sharing your content on social media is a must. Social media channels such as Facebook, Twitter, Google+, LinkedIn etc. spread your message with a louder voice and much faster. However, make sure you share your links a few times in a day for better visibility. 3. Email Personalization a New Oprah Personalizing emails pays off. According to Marketingland.com, personalized emails generate 6 X higher transaction rates and revenue per email compared to emails that are not personalized. Whether it is simply a greeting to your customers by their names or wishing them on special days, personalized email designs play wonders in creating a positive impact on your overall marketing performance. Also, personalized subject lines are 22.2% more likely to be opened, an article in salesforce.com reveals. 4. Guest blogging will Stage a Comeback In 2014, Matt Cutts had declared that guest blogging was dead and it fell out of favor for some time. However, of late, marketers have again started considering guest blogging as a crucial marketing technique to draw traffic. But keep in mind one thing before you go for guest blogging: remain focused on the quality of the content that you are producing for a guest post rather than the number of backlinks that you may get. 5. Mobile Optimization Will be King With over 1.2 billion people accessing the web from their mobile devices, it’s become important than ever that your website is mobile optimized. Another reason for optimization is that it reduces bounce rate. According to Huffington Post, 57% mobile users abandon a site if it takes more than 3 seconds to load and 30% abandon a purchase transaction if the shopping cart isn’t optimized for mobile devices. 6. Interactive Content Will Lead The Market People these days want to experience the process and learn something from in whatever they do. They prefer content that is conversational and interactive. It can be in the form of polls, infographics, videos and quizzes, calculators, galleries, surveys, animated white papers, contests & sweepstakes or any other format that keeps them engaged. Hubspot explains that tweets with images receive 18% more clicks, 89% more favorites and 150% more retweets. 7. Increase in Content Marketing Budget According to a CMI report, 54% B2B marketers will increase their budget for content marketing significantly in 2019. The marketers have finally understood that content marketing is a proven concept for drawing traffic and all activities be it publishing blogs or email marketing – comes at a cost. Therefore, marketers are expected to allocate more funds for creating different types of content. Though some of these trends have already made inroads, the others will definitely rule the marketing field the next year. So, pull up your socks and get ready to try out these trends to stay ahead in the game in 2019. Looking for awesome visuals and graphics to add glittering stars to your content marketing endeavors? Launch an illustration & graphics contest and get to choose from 100+ designs and not just concepts. Take your best pick! We offer a full 100% money back guarantee! Finally, a risk-free way of getting a customized design.